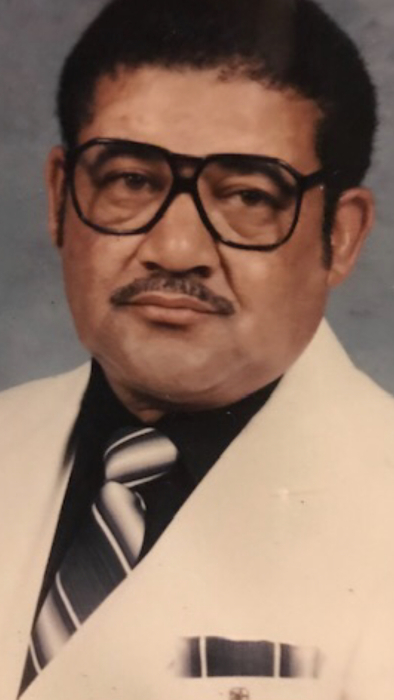 Obituary for John Mckellar | Celebrations of Life by Leggett-Patterson Funeral Home Inc.
John McKellar son of the late Reverend Duncan McKellar and Lucille Foxworth McKellar was born in Fairmont, North Carolina on May 25, 1935. He entered into an eternal rest at home in Fairmont, North Carolina on November 14, 2018. John spent his early adulthood in New York City working at Williamsburg Steele. He relocated to Lumberton, N. C. with family and began working at Osterneck Knitting for 10 years. Later he was employed at Converse Shoemaking Company for 27 years until he retired. John was the head mechanic and because of his unprecedented skills and knowledge of various machinery he was sent to Mexico to oversee the opening of a new start up plant for months. Off duty was on duty, he was always willing to assist others home improvements upon demand. John had many loves, he was the epitome of hospitality, he always encouraged you to sit and have a meal or snack with him. He loved to talk and entertain family. Family gatherings were most important to John. Family reunions he said was for young folks to sit and listen to the old in the backyards, not beaches or visit other areas. John leaves to cherish his memories are: his two sons: John Herbie McKellar and Darrell McKellar; two daughters Glenda Mitchell Jordan and Valerie Jean McKellar. One sister, Lennie McKellar Bryant; four brother-in-law's: Bobby Adams, James Thompson King Evans and Malaak Tabb; Five sister-in-laws: Connie Kingsbur, Delaine Adams, Bernadine Evans, Emma McKellar and Dorothy McKellar; three grandsons: Damien Mitchell, Duncan McKellar, and Charles Leggett II; four granddaughters: Omekio (Demeco) Riggins, Sherrie (Andre) Bullard, Dominique McLean (Alonzo), and Crystal Mitchell. Ten great grand children; Trüe JaCory Faulk, Ja’Brae Faulk, Ja’Niya Bullard, Jayden Smith, Jy’Nai Bullard, Aziya Brunson, Ja’Miya Bullard, Cedric McCormick, Anyla McKellar, and Andre Bullard Jr.; one great great grandson Trille JaCoreey Faulk; a host of loving nieces, nephews, relatives, and friends. A special thanks to five dear and unforgettable friends: Roscoe Bethea, Doug Thompson, J.T. Taylor, Charles Brunson, and Albert Worley. Thank you to a dedicated sister-in-law Connie Bell Kingsbrew, a guardian angel. Like an adopted son, Samuel Stanley, and a caretaker Duncan McMillan, Native angels.